Nights at Masia Can Ametller have a special charm. The lights play with shadows to present a warm and friendly setting in which to enjoy fine cuisine. 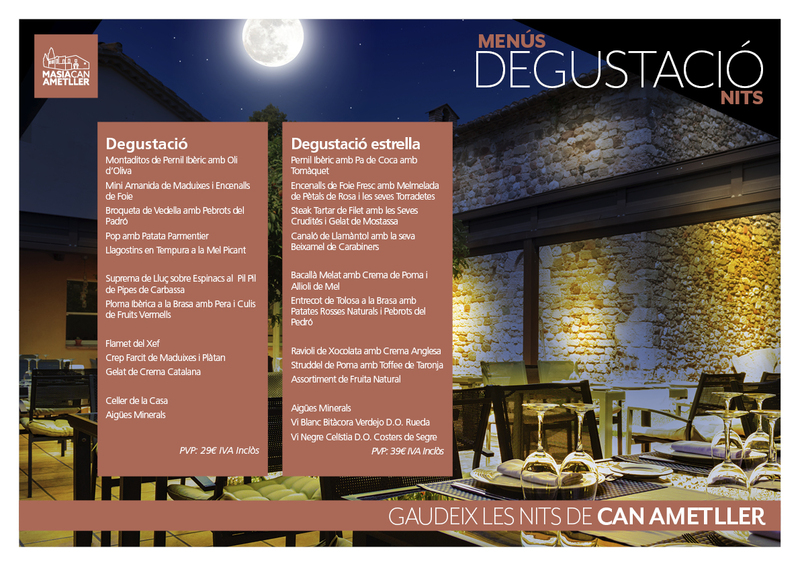 Therefore, at night, in addition to the menu we offer special tasting menus so that you enjoy the most of your visit to Can Ametller.